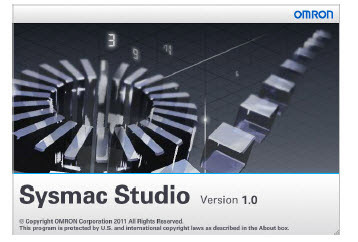 Omron Sysmac Studio is Omron's latest programming software for ﻿motion, drives and vision and supports Ladder programming, Structured Text and Function Block programming with a rich instruction set. Some of it common function are EtherCAT Configuration and Setup, CPU/Expansion Rack Configuration and setup, Motion Control setup, I/O Map Settings, Programming ladder diagrams, Programming structured text etc etc. This software is not good and compatible for machine having low disk space or very old PC as it require some higher configuration PC machine. Subscribe to Automation-Talk by Email. The Sysmac Studio provides an integrated development environment to set up, program, debug, and maintain NJ-series Controllers and other Machine Automation Controllers, as well as EtherCAT slaves. Its standard version comes with 1, 3, 10, 30 & 50 Licenses in a DVD format.